Rantings of An 80s Nut: Parody Or Marketing Device? 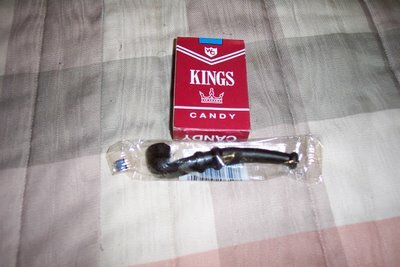 I LOVED CANDY CIGARETTES! You could kind of do this thing where if you inhaled and exhaled this powedery substance would look like real smoke. I loved the way they tasted and felt. I adored them. Anyhow, thanks for the memory Martin! (I admit, I had a fit when my son bot some candy bubblegum cigs off the ice-cream truck a few years ago). All of my friends and I were two-pack a day candy cigarette girls. Then we'd pop pills (Smarties) and wash them down with those wax juice vials. It was like Valley of the Dolls in my elementary school. Those were the days. LOL Beckeye. Those WERE the days! I loved those candy cigarettes too, but they also ended up in my mouth in a matter of seconds. I am not sure how I feel about the candy now. Isn't that like saying Judas Priest makes teenagers kill? I remember those candy cigarettes as a kid. I think I actually had some. I have to say that I don't like the message that they send. I didn't allow my kids to have them.